I recently became “LinkedIn” with a lovely local wine entrepreneur named Liz Avera. She currently runs Vino 100 in Polaris. Liz and I have much in common. We have work experience in both marketing and wine as well as love to write. Her experience is more extensive than mine and I intend on absorbing much of her knowledge. How this all came about is kindof a fluke. I had been a copywriter forever (almost 20 years), but I’m also a research geek (have a Masters degree in Library and Information Science — because I love finding and sharing information.) In August, 2006, I was at Ten United (now Engauge), working on an ad for one of our bank clients. The ad happened to be a profile of one of the bank’s small business customers — a beer and wine wholesaler — located in Traverse City, Michigan. So I’m doing some background research, looking through all these online articles in the beer and wine trade journals, when I stumble across a description of Vino 100 — a wine store franchise with a really unique concept. Now, I certainly had not been looking to open a retail business, and while I’ve always been into food and wine, I wouldn’t really call myself an “expert.” But after so much time in the advertising world, I knew a good, consumer-centric idea when I saw one. So I decided to check it out. 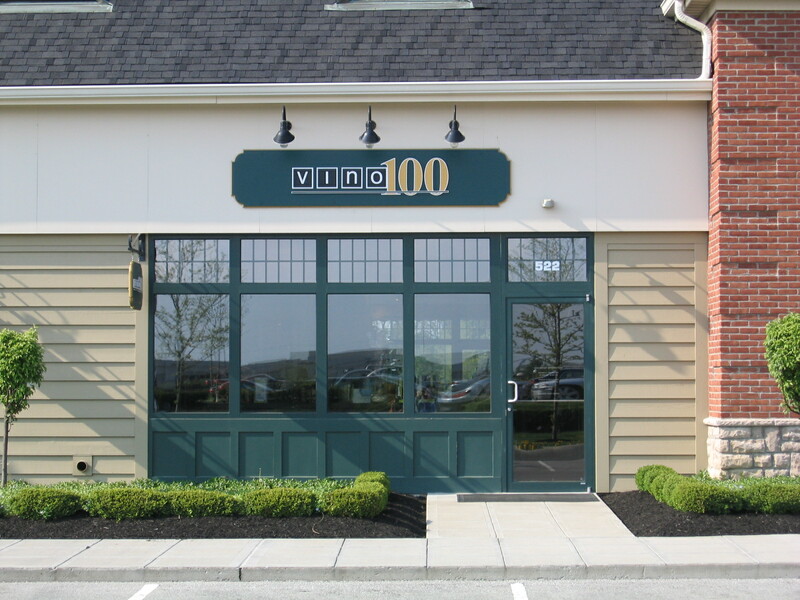 One protracted lease negotiation, lots of training, and many (15ish) months later, I, along with my husband and a friend of ours, opened the Vino 100 store at Polaris Parkway and Cleveland Avenue. Our mission is basically to make good wine accessible to everyone, regardless of income, background, or level of wine knowledge. We carry 100 wines all priced at $25 or less, and each one has a “barometer” (point-of-sale tag) indicating its flavor (fruity to dry) and body (light to full). 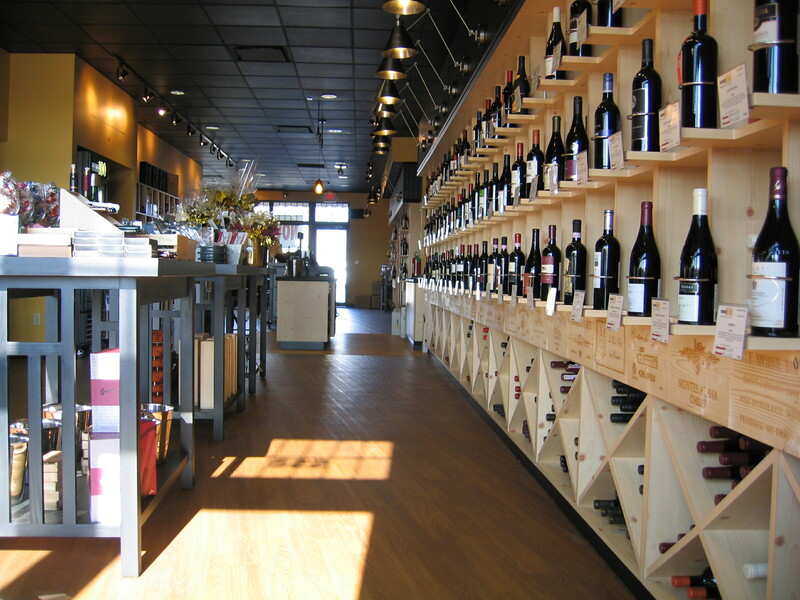 The store is arranged not by grape varietal or country, but rather by taste — all the reds on one wall, progressing from lighter to heavier bodied; all the whites on another wall, progressing from lighter to heavier bodied. Once you find a wine you like, you can use that flavor and body profile to find others that match your taste. Speaking of tastes, we do winetasting every day (we have at least 8, and usually 12 different wines open) to orient customers to the barometer system and help them start to figure out their own palate. We also host instructional events, private events, even off-site events (“Wherever Winetastings”) — all to help people learn about wine and–most important–learn what they like. Because I’ve always viewed wine drinking as a very social activity, I wanted Vino 100 Polaris to be a “gathering place.” We have seating for 24 (plus another 8 on barstools), and we serve wine by the glass, along with gourmet cheese plates and a Mediterranean plate (hummus, couscous, and eggplant). For the summer, we started offering 5 o’clock flights — every Monday from 5 till 8, we feature a flight based on a particular theme. So far, we’ve had the Tour de Blancs (Sauvignon Blancs from New Zealand, Chile and the Loire), and Italian Oddities (a Nero d’Avola, a Rosso blend, and an Aglianico). I would love to show you around the place — and have you taste some of our great wines. We have private events scheduled for June 3 and June 11, but other than that, Tuesdays and Wednesdays are usually pretty slow. If there’s a certain day/time that’s convenient for you, I can make sure I’m around. (Our store manager, Jim, is there all the time. I’m sometimes off-site, trying to work on marketing and content for our events.) We’re open 11 – 8 Monday through Thursday, 11 – 9 Friday and Saturday. Closed Sunday. By the way, if you have any books you’d like to get rid of — and want to pick up some good summer reading in return — we’re having a book swap at the store this Saturday. Details are on our website calendar. I’m also attaching a couple of photos of the store — in case you wanted to post them. And thanks again — in advance — for spreading the word. Many of you know by now (from past posts) that The Beer Wench is a wino as well (I even coined my own term for a champagne lover … CHAMPAGNIAC). I worked in a wine boutique when I lived at home in NY and when I managed a local restaurant I was in charge of all things beverage. I’ve run a few wine tastings in my past and anticipate running more in the future. IN FACT, I propose that we do a Drink With The Wench wine themed event — possibly at Vino 100 Polaris (if they would be kind enough to host it). Thanks again to Liz for her guest post! I look forward to tasting your wonderful collection of wines!!! My first official correspondence on the Columbus Foodcast has been released today. I encourage everyone to check out Episode 7: Food Parties on the Columbus Foodcast blog. Disclaimer: It is my very first podcast, so please excuse my stumbling. Practice makes perfect. Zach and Jim have been extremely successful with the first 7 Episodes and I look forward to contributing to future success! Thanks guys! This is going to be a fun adventure!